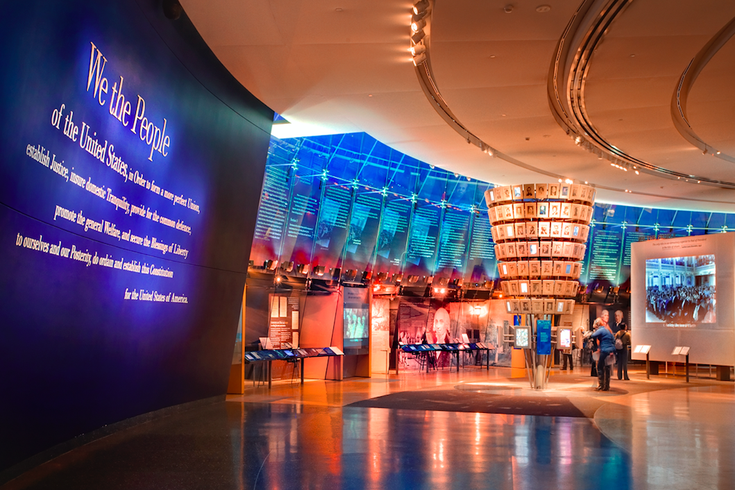 At the National Constitution Center, visitors of all ages discover the impact of the U.S. Constitution on their lives through multimedia exhibitions, sculpture, film, artifacts and interactive displays. The National Constitution Center is opening the first permanent exhibit in the U.S. to discuss the constitutional debates behind Reconstruction and the Civil War. The exhibit, called "Civil War and Reconstruction: The Battle for Freedom and Equality" will explore the promises made in the Declaration of Independence that eventually landed in the Constitution — specifically in the 13th, 14th and 15th Amendments. According to the center, the 3,000-foot exhibit have more than 100 different artifacts, feature historic items like Dred Scott's signed petition for freedom and a piece of the flag Abraham Lincoln raised at Independence Hall. Original copies of the amendments will be displayed, as well as items borrowed from the Civil War Museum of Philadelphia. A limited-time theatrical performance called "Fourteen" will be performed select weeks as part of the exhibit. That will take place beginning on June 19, also known as Juneteeth for the holiday that commemorates the emancipation of enslaved African Americans throughout the Confederate States of America. The 30-minute performance will be a dramatic interpretation of original texts from Reconstruction. "Civil War and Reconstruction" will open on May 9.